Dr. Amit Kumar Mandal, M.B.B.S, Dip(Tuberculosis & Chest Diseases), DNB (Pulmonology), is a Senior Consultant -Pulmonology at Fortis Hospital, Mohali. Conjointly, he is a guide for IDCCM (Indian Diploma in Critical Care Medicine) since 2010. 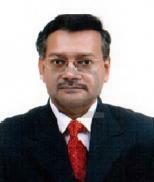 Prior to that, he had career stints as a Consultant at the department of Pulmonology – Thoracic Surgery & Medical Intensive Care Unit Fortis Flt Lt Rajan Dhall Hospital, New Delhi; Consultant Pulmonologist at Escorts Heart & Research Institute, New Delhi; Junior Consultant -Chest Physician & In Charge of ICU at Mata Chanan Devi Hospital, New Delhi; Senior Resident & DNB fellow (Respiratory Diseases) at Lala Ram Swarup Institute of TB & Respiratory disease, New Delhi. Dr. Amit completed his basic medical studies(MBBS) from the prestigious institute Maulana Azad Medical College, followed by a Diploma in Tuberculosis & Chest disease from Vallabh Bhai Patel Chest Institute, Delhi. Subsequently, he accomplished DNB in Respiratory Diseases from Lala Ram Swarup Institute of TB & Respiratory Diseases, New Delhi. To his credits, Dr. Amit has contributed various research publications to the peer reviewed journals and has presented his research work in various conferences nationally & internationally.